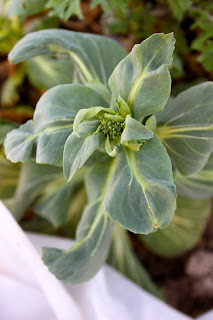 A blog about my adventures as a professional garden writer, radio show host and obsessive veggie gardener! My first book, the award-winning, The Year Round Vegetable Gardener, was published in 2012 and Groundbreaking Food Gardens hit shelves in March 2014! It was a lovely spring day yesterday, so I actually snuck away from my computer and did a bit of garden work. 'Bit' might be the operative word, but it was invigorating to dig some shredded leaf mould into the veggie beds. 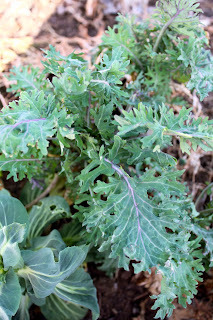 I also took note of my overwintered kales.. 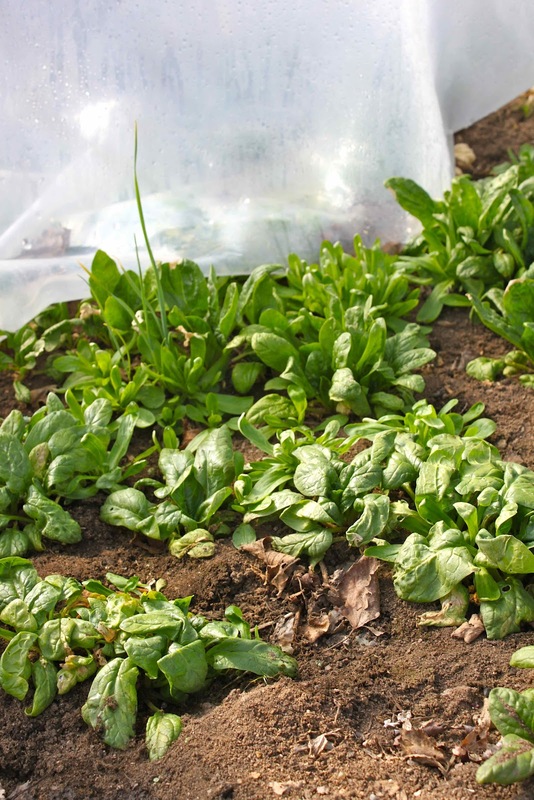 I tried to overwinter them in three ways: Some were planted in the open garden with no winter cover, others under mini hoop tunnels covered in 6 mil greenhouse poly and finally, the rest were just tucked under a medium weight row cover that was laid directly on top of the plants. 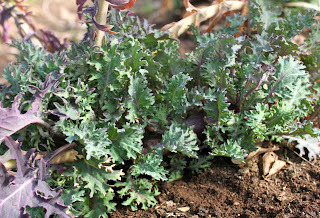 All kales in this casual experiment were Red Russian and planted around the same time last year (mid-July). Here are the results! this kale is also in very good shape. as the mini hoop tunnel kale. 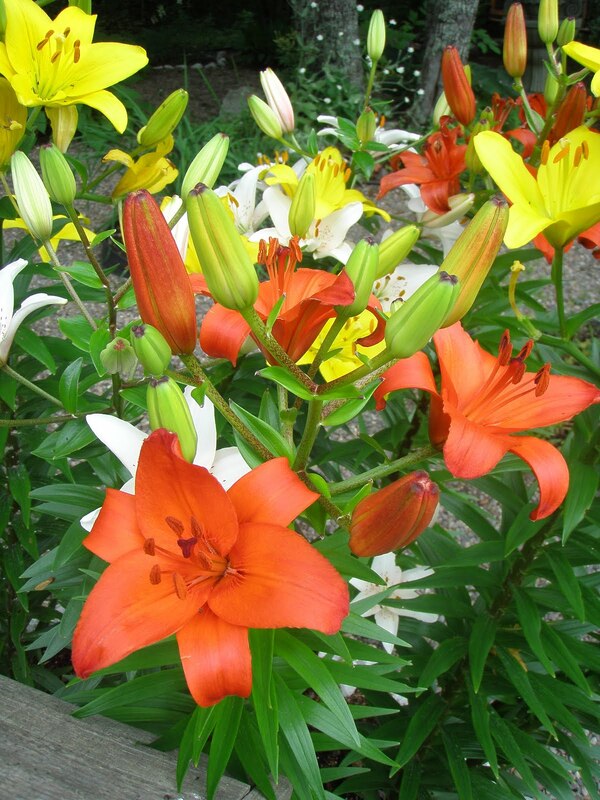 offer several months of harvest before it goes to seed. under the medium weight row cover too. cover over the bed to thwart the deer. I like to hear about experiments like this. Did you water any of these plants during the winter? I'm wondering about the ones under plastic that wouldn't have received any precipitation. Great question Melissa!! 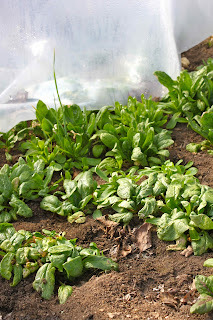 I watered up until late Nov when the mini hoop tunnels and row covered were put to use. Then, no water until late Feb when things begin to look dry and the daytime temp's are getting milder - especially under the shelter of the mini hoop tunnels. I love it. 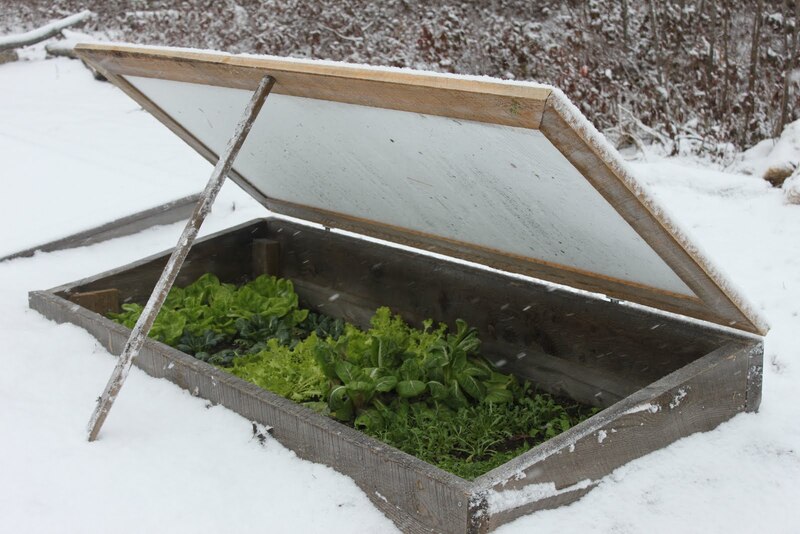 Thank you for showing us how beautiful over wintered veg looks. Wonderful. 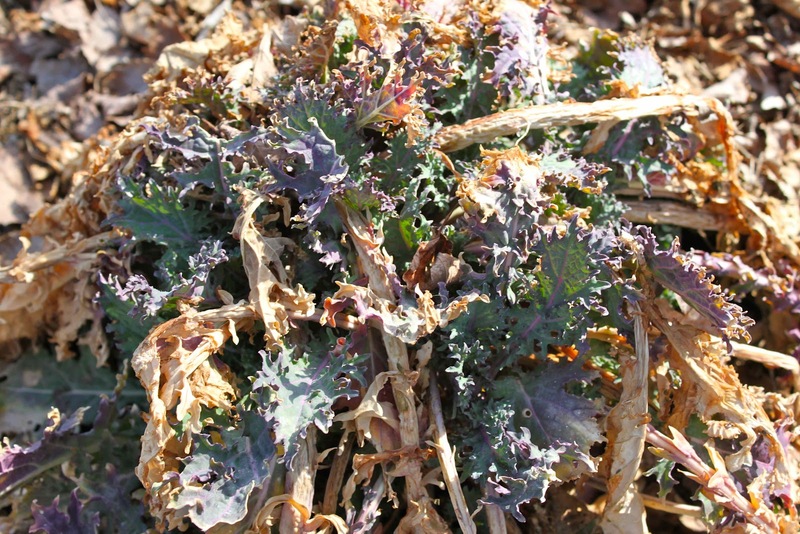 Winter was so mild here we have kale and carrots that overwintered with no cover whatsoever! 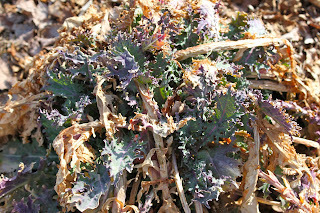 Like your kale, it took a bit of hit but is bouncing back full speed ahead. I just got your book a few weeks ago and am loving it! I've had my poor hubby hard at work building me cold frames and a mini hoop tunnel. How do you secure your tunnel for harsh fall and winter storms? We live on the ocean in Cow Bay and I'm concerned it just won't stand up to the winds. Sprouts have emerged in my cold frame. Thanks so much for all the inspiration! Just wondering, Niki, if you have a tiller? We have most of our garden in beds but it is getting fairly big (around 2000 sq.ft.) and we are thinking of getting a small lightweight tiller to help break the soil in spring. Do you have any experience with these? Subscribe to the NEW Savvy Gardening newsletter! Our timely newsletter is both informative and savvy, covering a wide range of gardening topics! 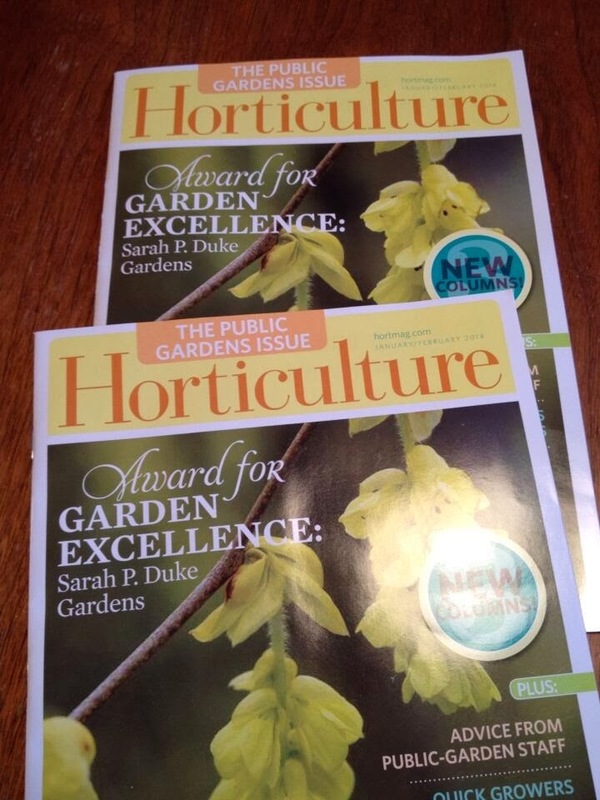 Check out my column in Horticulture magazine! I'll offer advice on my favourite edibles, growing techniques & more! NEW - Follow Me by Email!! I'm a garden writer and radio show host with a passion for veggies! 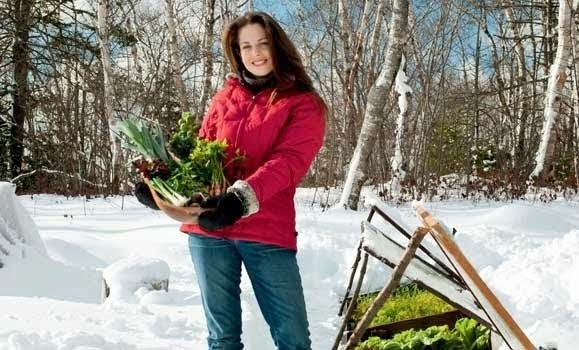 Look for my first book - The Year Round Vegetable Gardener in December 2011 - published by Storey Publishing (www.storey.com). All materials on this blog are protected by copyright law and may not be reproduced for any purposes without my permission. Please include a link to this blog for all non-commercial use.